1956 Chris-Craft Capri 19 PRICE JUST REDUCED TO 34,9005/1/18This true classic Chris Craft Capri 19 will really bring enjoyment to the avid collector or history buff. Recently restored and repaired to "Top Notch" condition. 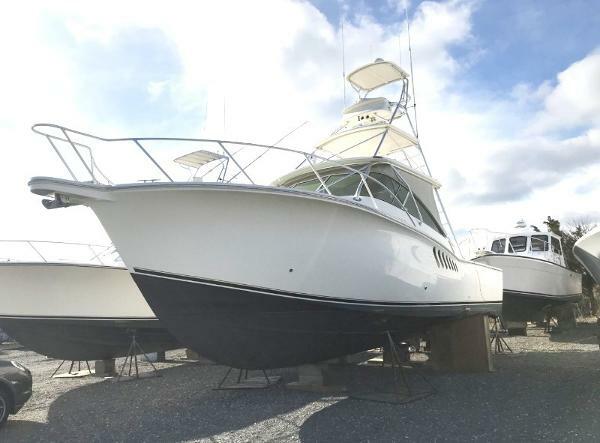 2000 Chris-Craft 328 EXP CRSR Helo Pad, a 328 Express Cruiser by Chris-Craft has been well maintained and recently lift kept. Twin 5.7 Volvo GSI engines cruise her at 25 MPH with a range just over 350miles. The custom hardtop and custom private canvas are in great condition. Also included is the eisenglass canvas which replaces the private canvas. 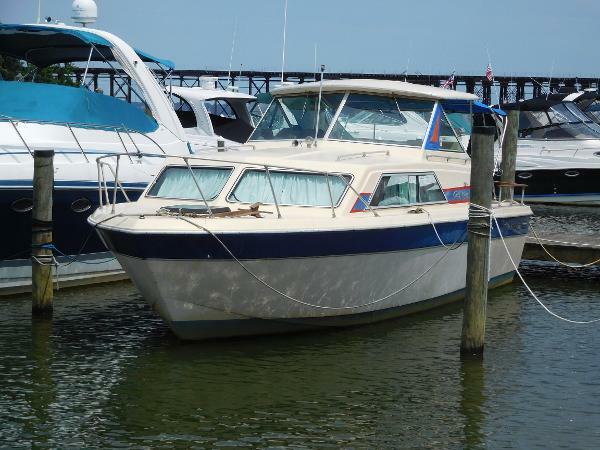 Military owned by the last 2 owners and lived aboard part time, this is a must see for anyone looking for a express style boat ready for the next owner. 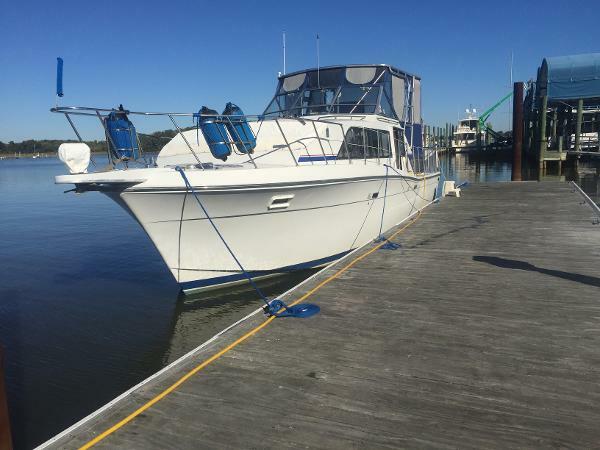 With the privacy canvas this boat makes a great liveaboard for single military or a couple. 1951 Chris-Craft Special Runabout This 1951 Chris Craft Special Runabout is truly a great find for the avid Classic Boat Enthusiast. The original "K" Chris Craft engine was refurbished in 2007. The 95 Horsepower really pushes this old beauty along very nicely. 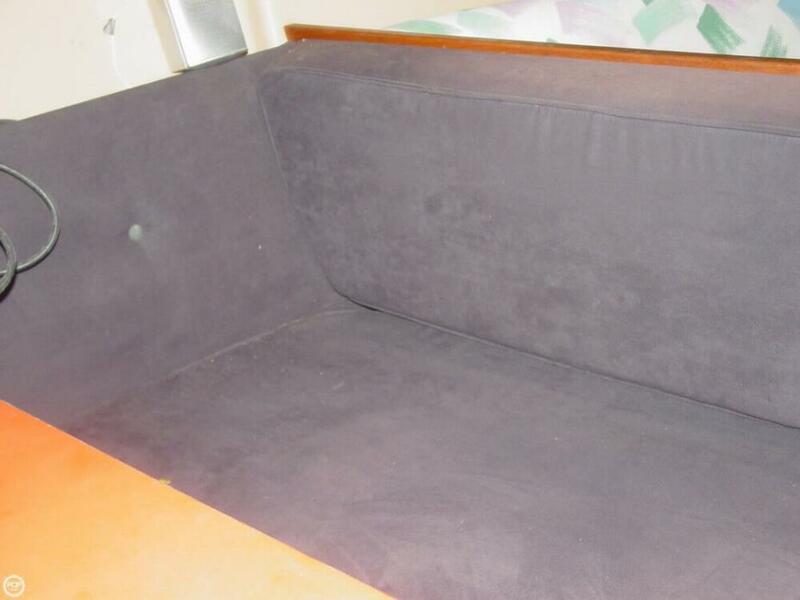 New upholstery, halon fire suppression system, electric fuel pump, electric bilge pump, electric bilge blower are among just a few of the recent additions made to the boat. Can be seen in Yorktown, VA. The overall condition of this Chris-Craft is good. The boat looks and presents well. The engine bay is spotless, not to mention the engine. The original gauges are all there. The owner states the original gauges will not function with this engine. 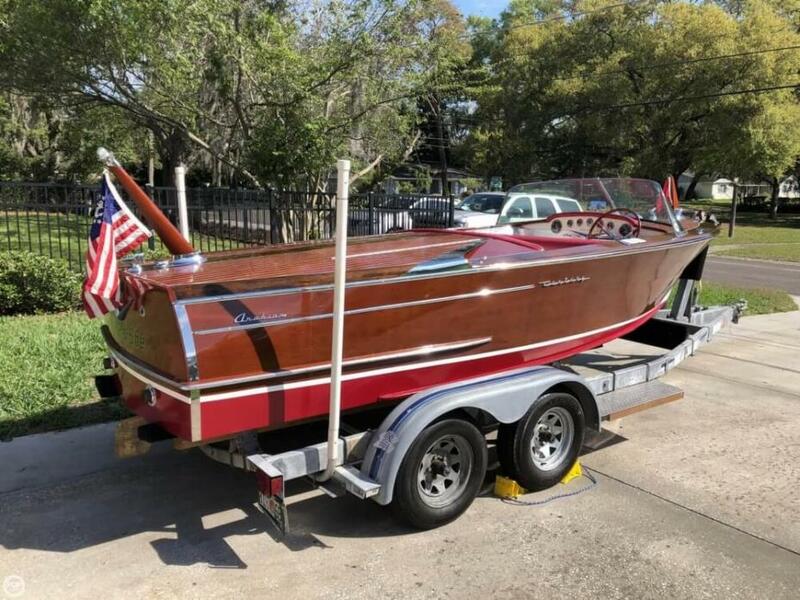 Stock #137759 Beautifully restored wood Chris-Craft with new motor! 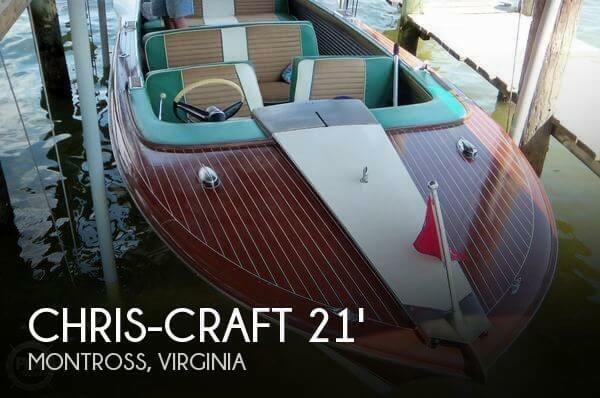 If you are in the market for an antique and classic boat, look no further than this 1961 Chris-Craft Model 21, just reduced to $26,200 (offers encouraged). 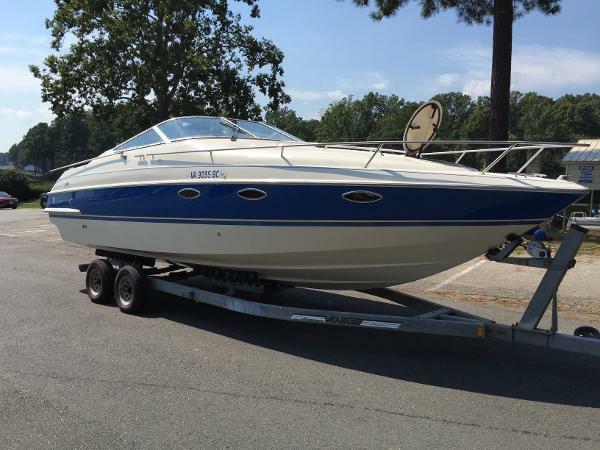 This boat is located in Montross, Virginia and is in good condition. She is also equipped with a Crusader engine that has only 50 hours. 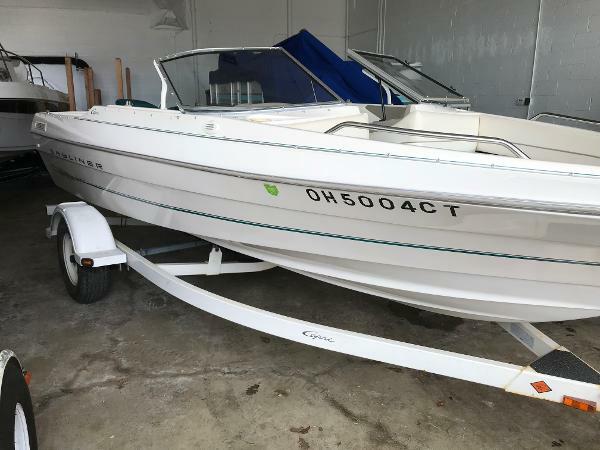 1988 Chris-Craft 210 Scorpion One owner dry stored Lots of updates Rebuilt 5.0 230 hp Fiberglass floor .New Interior Trailer Inc. This boat looks years newer than it is . 1967 Chris Craft Apache Absolutely beautiful, well built, elegant design by Sparkman and Stephens, solid build by Chris Craft. Just out of the yard with new bottom, recent Awlgrip topsides and deck. Solid Fiberglass. New Yanmar 3YPM 30 diesel w/125 hrs. Roller furling head sail and fully battened main. Aft led halyards. ST 46 two speed Barient Primary winches, auto pilot. 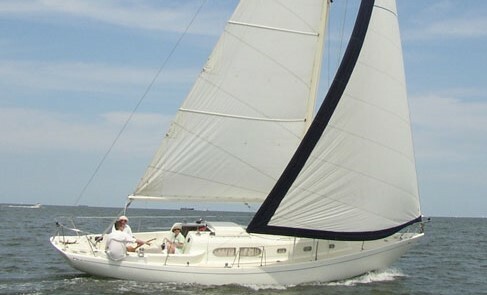 Wonderful sailing qualities, Quick, smooth, and steady - PHRF 156. 1988 Chris Craft1 381 Catalina This is a very well cared for classic Chris Craft 381 Catalina with all the style and space of a larger vessel. With dependable twin Crusader 7.4 engines (350hp) provide a cruise speed of 17 knots and WOT above 20 knots. 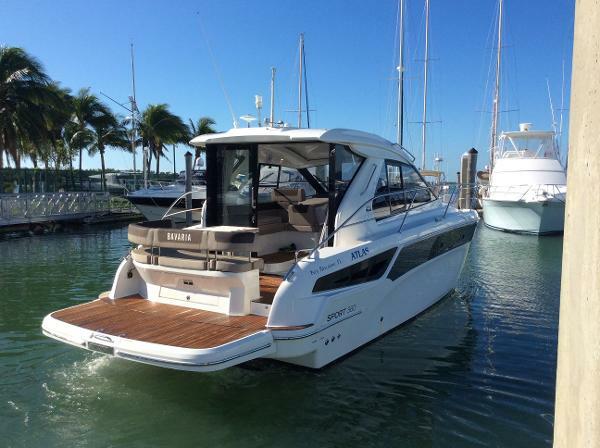 Under the new hard-top and new enclosure the helm has great visibility and is well equipped with two GPS systems, VHF, and more, with two helm seats, plenty of lounge seating and storage. The large salon has plenty of seating and tall windows, complete galley and breakfast bar, it's a great vessel at the docks or ready for extended cruising. There are two large staterooms including private heads with shower enclosures (tub aft) and plenty of storage it's very comfortable accommodations for two couples or a large family. 1994 Chris-Craft Concept Cruiser THE CLASSIC STYLING OF CHRIS-CRAFT! 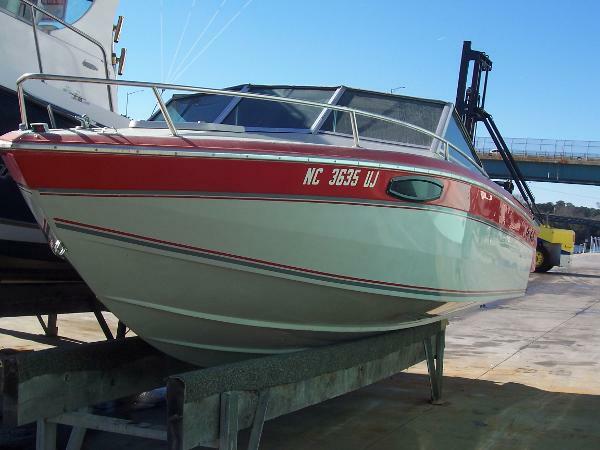 This 1994 Concept Cruiser 268 has been recently serviced and detailed and is ready for the water! Powered with a 7.4 liter 454hp OMC King Cobra Engine, this boat also has a Cuddy Cabin with Galley and Bathroom, Dual Battery System w/A-B Cut-Off Switch, Pioneer Stereo w/Amplifier, Marine Radio, Stove, Sink, Head, Cuddy Table & Cushions, Rear Deck Radio Remote, New Starter, New Bilge Pump and a Galvanized Tandem Axle Roll-On Trailer! All this for only $10,995! 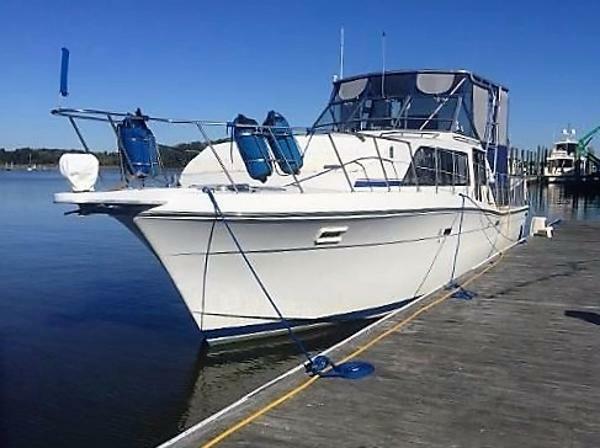 1988 Chris-Craft 381 Catalina This boat is a must see!!!! 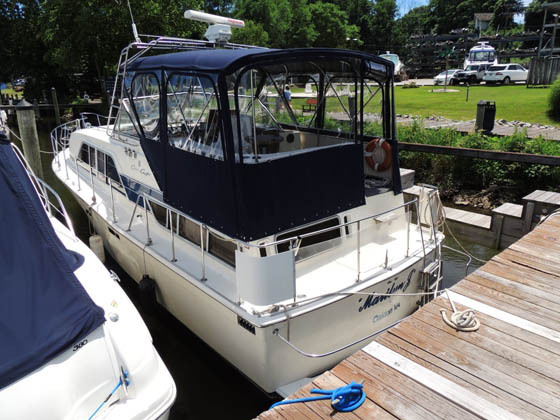 A custom hard top and canvas installed 2013- two GPS units- fish/depth finder- brand new fuel pumps/both engines 2014- refrigerator/ice maker replaced 2010/2013- risers replaced 2014- new console wiring 2014- new microwave- new vhf radio- sirius connection-holding tank replaced with 70 gallon- carpet replaced 2013- bridge enclosures- battery charger- water heater replaced with 20 gallon capacity. Items that would convey; oriental rugs- pots/pans- linens- towells- flatware- lamps- tv/ dish ready- lots of parts and a ditch kit that has built in GPS. Hoffmasters Marina can provide service records, available upon request. The 381 Catalina Double Cabin is an enlarged version of the popular Chris 350 Catalina introduced a few years earlier. 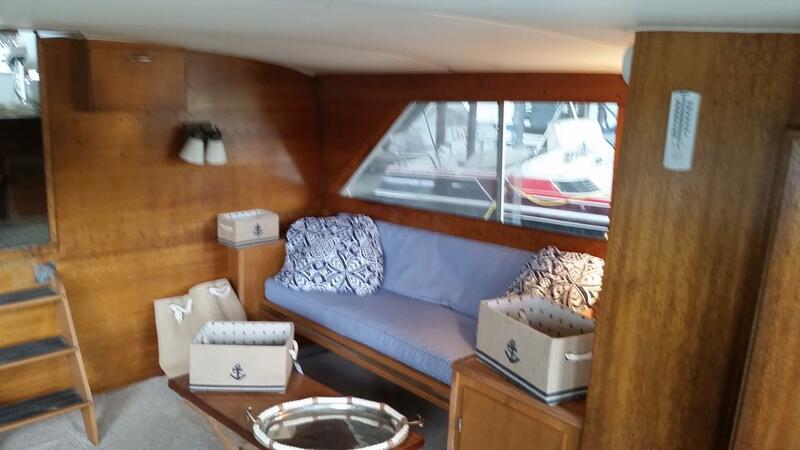 The 381 has an enormous interior for her size with an entertainment friendly helm area. The interior is the attraction here with her two roomy staterooms (King/center aft, and Queen/center forward with stall shower/ head.) Stall showers encloseures in both heads ( a tub/shower aft.) Walk around decks. The 381 Catalina will cruise at 17 knots with her 350hp Crusaders and reach speeds of 25 knots.